The RMS Titanic is of course one of the most famous ships ever built, for all the wrong reasons. It is a well-known fact that she was the biggest ship of the time (1912), but not everybody realises that she would be considered small when compared to today’s cruise ships. First let me say that the two ships were built almost 100 years apart (Oasis entered service in 2009). Titanic was a multi-class ‘Royal Mail’ steamer built for the transport passengers and mail between NY and the UK, before the era of long-haul flying. Oasis on the other hand is a one-class floating ‘pleasure resort’ designed to cruise the Caribbean. Apart from both being passenger ships, they are chalk and cheese, designed in different era’s, with different levels of technology, for very different purposes. Titanic is of course British (built in Belfast) and Oasis American (but built in Finland). The different methods of construction, different eras and different purposes of each vessel influences the construction, décor and on-board facilities and experience. The two ships are almost beyond comparison. Never the less I will continue…. 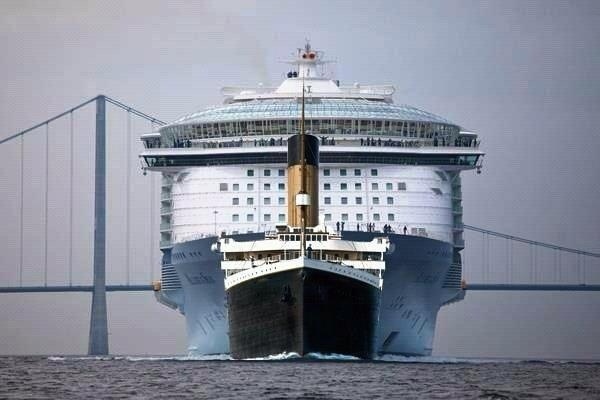 Some ships are longer, some taller, some wider which makes any comparison confusing. 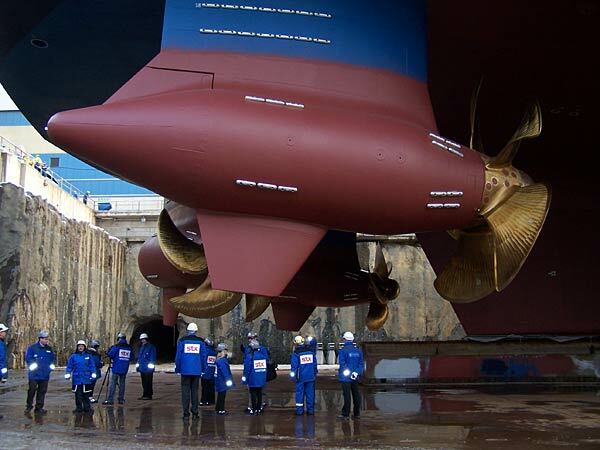 Therefore the standard way of comparing a ships size is gross tonnage (gt). This is not a measurement of weight, it is a measurement of internal volume (space) on board a ship. Oasis beats the Titanic in every dimension: the Titanic was around 46,000gt. She could carry a maximum 3547 passengers and crew, in both luxury accommodation and very cramped/basic accommodation (called steerage, because the third class was deep in the ships hull, near the rudder mechanism). In contrast, Royal Caribbean’s ‘Oasis of the Seas’, the world’s biggest class of ship (in 2009) is 225,000 gt, which is nearly five times bigger than Titanic. She can carry a maximum of 8,461 passengers and crew. In terms of length, the Titanic was 269m and Oasis is 360m. The Titanic had 9 decks, Oasis has 16. One statistic that both ships share is that they could both achieve a maximum speed of around 23 knots. This is quite modest, but I guess that’s was the maximum speed that the Titanic’s coal boilers could deliver and modern cruise ship are not built for high speed. It’s not required for cruising. Another interesting comparison is Cunard’s ‘Queen Mary 2’ (a modern day Ocean Liner) can achieve around 30 knots, if required and she’s around three times bigger than the Titanic at 148,00 gt. However, propulsion systems has clearly advanced since 1912. Oasis of course does not use coal and steam and does not require a big workforce of boiler ‘stokers’. Perhaps the most dramatic differences between Titanic and Oasis, apart from the sheer size difference, is that of creature comforts and passenger facilities. Oasis has 2700 passenger cabins, all with air-con, TV, en-suite sink, toilet and a shower. Oasis is of course a ‘one class ship’ with no segregation. In contrast, the Titanic was a three class ship with clear segregation. 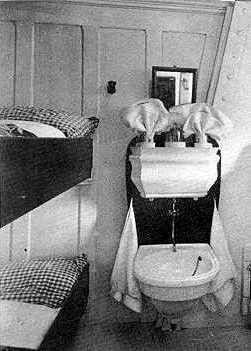 The majority of Titanic’s cabins were cramped and did not have private baths or toilets. In fact there were only two baths for the 700 third class (steerage) passengers, one for men and one for women. Let’s not forget that Oasis has the modern methods of communication on-board such as telephones and Internet/E-main facilities. On board the Titanic even the use of Morse-code, via radio, was new technology at the time. There was very little formal entertainment on-board the Titanic, just an orchestra of eight men. You will have seen in the James Cameron’s movie, where the steerage passengers had to make their own entertainment. 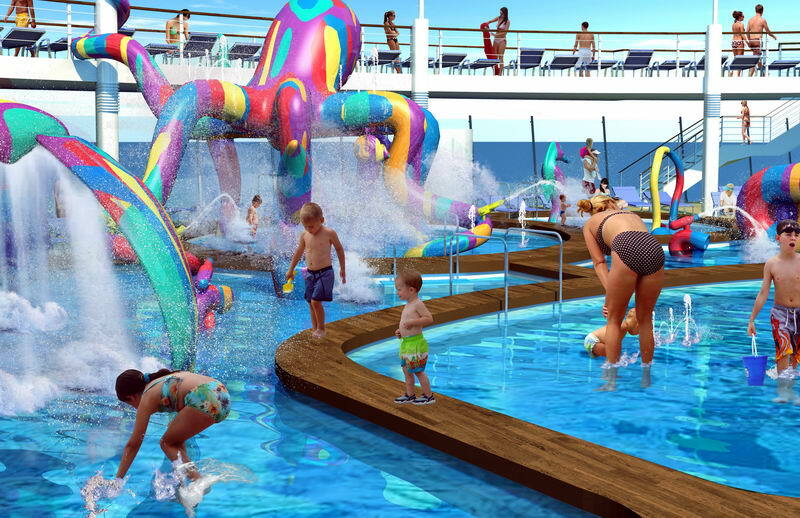 Of course modern cruise ships like ‘Oasis’ offers a whole host of activities and entertainment, including a ‘Theatre’ offering ‘Broadway’ style shows and an ‘Aqua’ show with divers and synchronised swimmers. Oasis takes the whole concept much further than any other ship and is truly a ‘floating resort’. She has an internal street, a Park (with real plants and trees) an Ice skating rink, rock climbing walls, a water-park, beauty therapy centre and a surf simulators with real water, to name some of her facilities. Titanic’s designer, Thomas Andrews could only dream of such a floating city as Oasis. However, one similarity was that both Titanic and Oasis featured a Gymnasiums, but you probably guessed that Oasis’s is so much bigger and hi-tech. No one is any doubt that Titanic sank because she hit an iceberg. However the reason why has been a matter of much conjecture. She was clearly going too fast and the iceberg was spotted too late. However one theory suggests that her small rudder did not allow her to take evasive action in time. Oasis does not have a rudder. 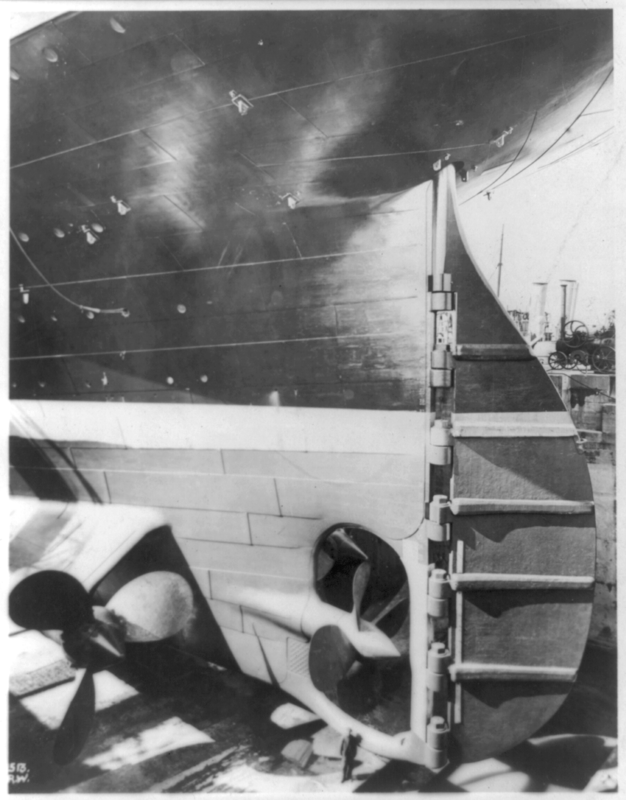 Her engines (giant electric motors) are housed in four pods suspended below the ship, all of which can rotate 360 degrees making her highly manoeuvrable for a big ship. Modern radar systems and ‘ice alert’ patrols help to prevent such an accident ever happening again. Of course Oasis has lifeboats, with a seat for every passenger and many extra seats too. 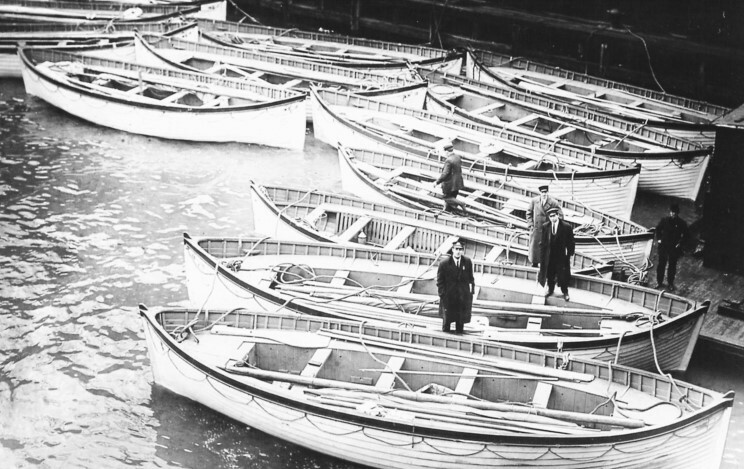 Titanic only had 20 lifeboats which were not enough, so the sinking resulted in the deaths of 1,517 of the 2,223 people on board. 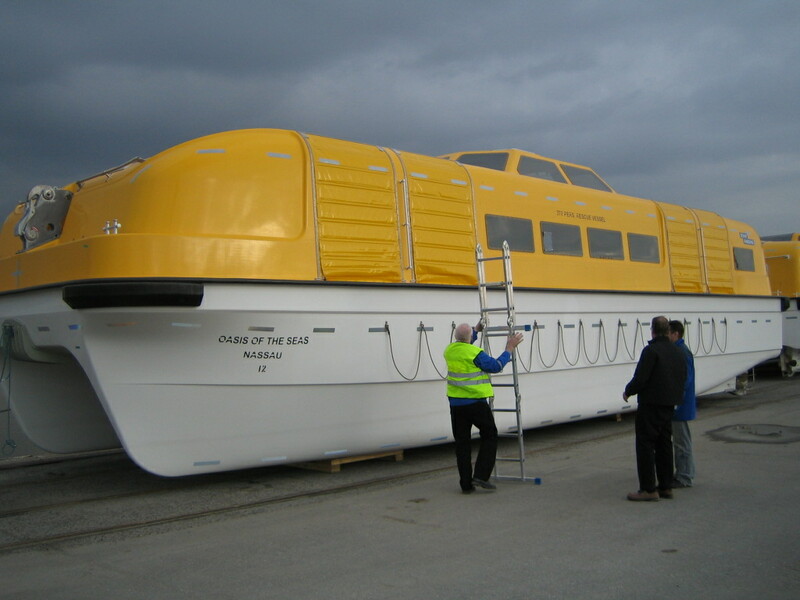 Oasis’s lifeboats are all enclosed and have engine power. 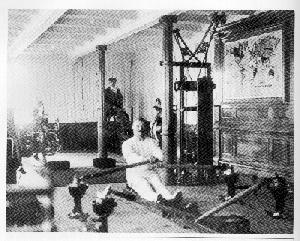 Titan’s were open to the elements and had oars for rowing. In 1912 the Average American earned $300 per year. Oasis is designed for the masses and the cabins (sorry ‘staterooms’) are all significantly cheaper (given modern income levels) than those on-board the Titanic. 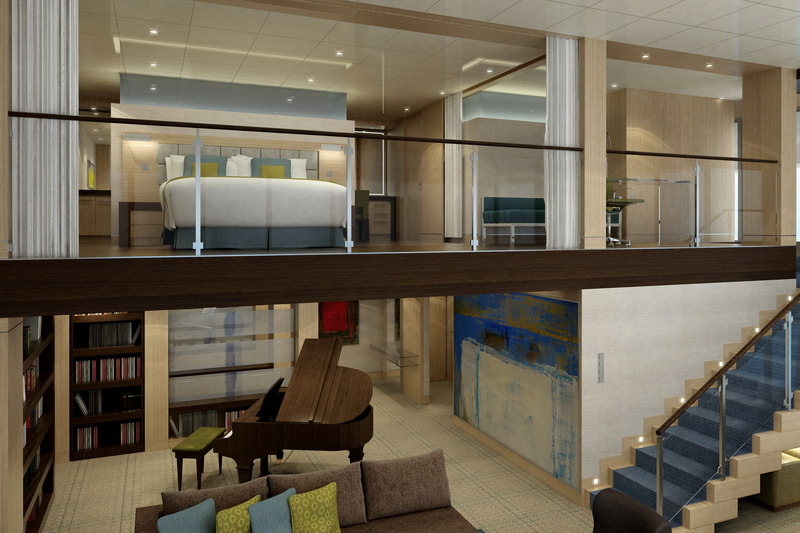 You can also have a cabin with a private balcony too on-board Oasis, there are hundreds! However, the Titanic wins this competition with the quality and tastefulness of her internal décor for the first and second classes. No expense was spared. Titanic had much fine wooden panelling, hand carved mouldings and ornaments, many of which were gilded. She had the finest china, furniture, high quality soft furnishings, not forgetting the beautiful oak ‘grand Staircase’. In contrast, although ‘Oasis’ is attractive internally, and probably pretty expensive, her décor resembles Las Vegas in places.